Signed 16 year old England youth international from Chelsea. Chased him for a while apparently, plays up front. Needs to sort his hair. Had a trial at Benfica in the summer. Must be alright. Thought it was only the scum who signed 'wonderkids'. Good luck to the lad, welcome to the most successful club in the land. Thought if was only the scum who signed 'wonderkids'. Does he have a treble-barrelled name? Only a matter of time before someone does!! This mean Morelos is away then? I think you have to be Royalty to get away with using a triple barrelled name. 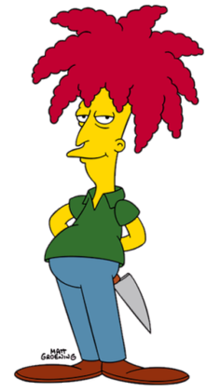 Sounds like a toff, looks like Sideshow Bob. The irony of a boy named COOMBES with that hair!!!! About as near as a comb has come to his hair.